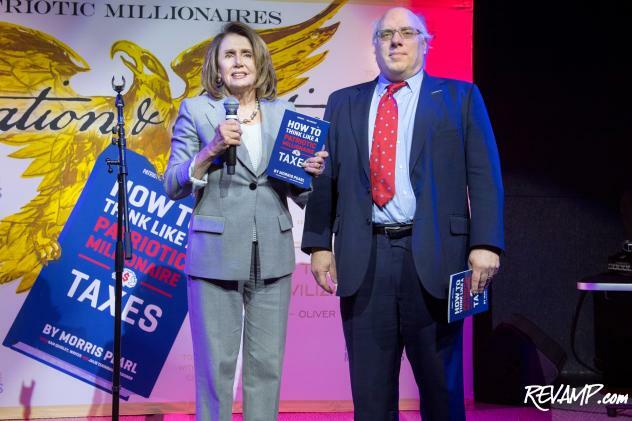 House Minority Leader Nancy Pelosi and Patriotic Millionaires Chair Morris Pearl. 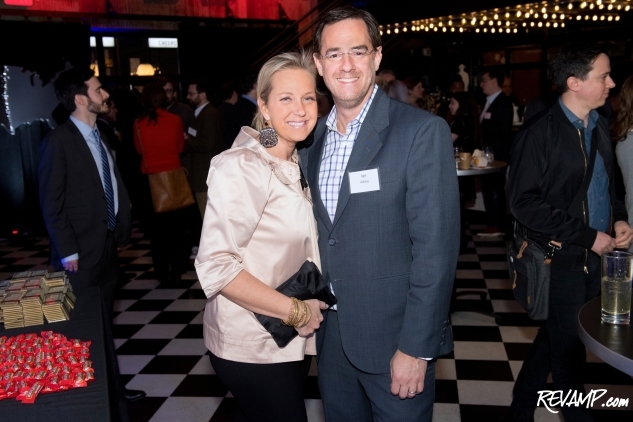 Pearl Street Warehouse was decorated in various shades of red, white, and blue for the event. Patriotic Millionaires Founder & President Erica Payne (right) and Gene Haigh. 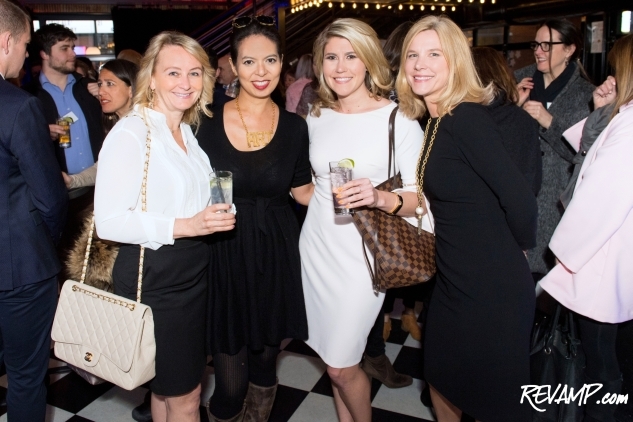 Dubbed the first annual "Taxation & Libations" celebration, Tuesday's party saw a hundred or so guests fill the main floor of The Wharf's popular Pearl Street Warehouse venue. 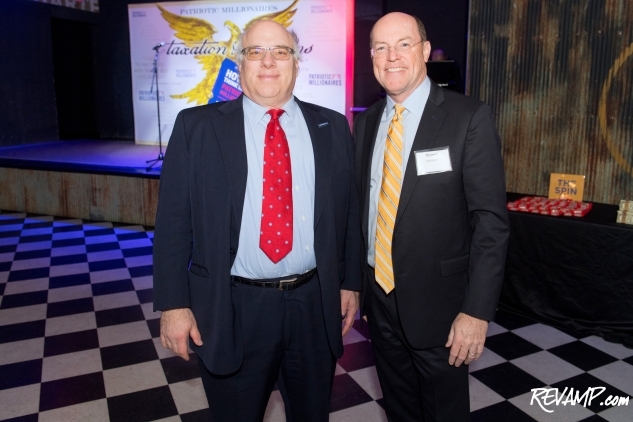 Patriotic Millionaires Chair Morris Pearl and Dennis Kelleher. 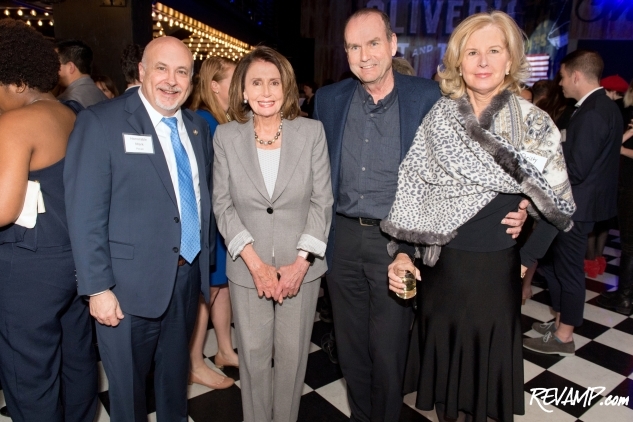 Congressman Mark Pocan, House Minority Leader Leader Nancy Pelosi, and Scott and Christy Wallace. 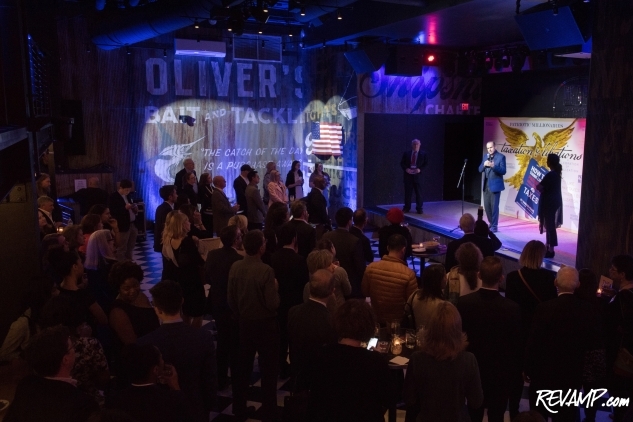 The evening was hosted by the Patriotic Millionaires organization -- a group of high-net worth Americans united in their concern about the country's growing concentration of wealth and power in the hands of a few select individuals. These so-called "traitors to their class" advocate for a more equal tax system, where millionaires and corporations contribute a greater portion of federal tax receipts, and a guaranteed living wage to afford basic needs. 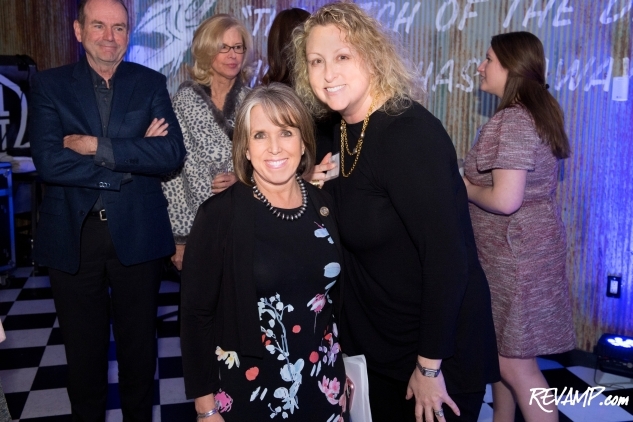 Congresswoman Michelle Lujan Grisham and Rachel Hirschberg. 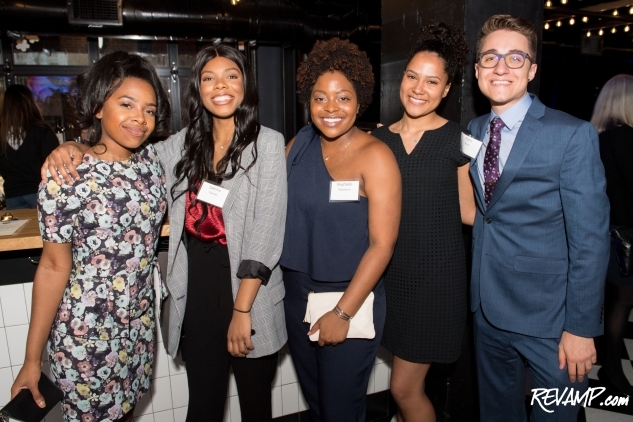 Nina Fakolujo, Sabrina Farmer, Knychelle Passmore, Kennedy Rose, and Peter Rossi. Among the bold faces spotted in attendance, House Minority Leader Nancy Pelosi instantly stood out as the most recognizable. She was joined on-stage for remarks by fellow members of Congress Rep. Michelle Lujan Grisham and Rep. Mark Pocan, along with Scott Wallace who is currently running for Pennsylvania's eighth congressional district. 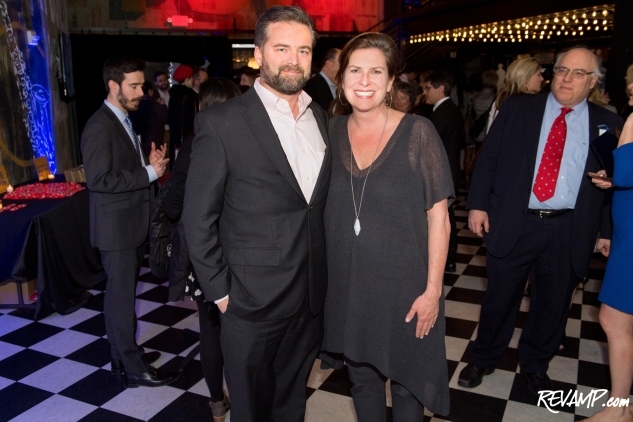 Mary Morrison and Ian Alberg. 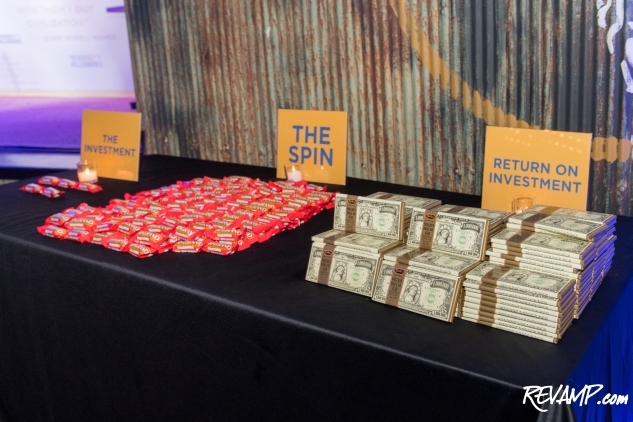 A candy display setup in the form of a critique of the recently passed GOP's tax reform legislation. "I'm going to put my Trump tax cut into this," said Wallace (a millionaire himself) about his candidacy. "I won't tell you how much it is. But he gave me way more money than I wanted or ever asked for. And I'm turning it all around to win this race." Julie Broad, Christina Sevilla, Samantha Bryant, and Blair Watters.